Senior Pastor, Bobby Lewis Jr.
Pastor Bobby Lewis was born and raised in Portsmouth, Virginia. He is the son of a preacher man. His mom and dad, Elder Maurine Lewis and the late Rudolph B. Lewis, Sr., taught him at an early age what it meant to serve the Lord. They spent their whole life raising up and sending out leaders. The message that they taught from the pulpit was actually lived out in their home. Their love for Gods people was infectious and their son caught it. Pastor Bobby, being a gifted singer, was accepted into the Shenandoah Conservatory of Music in Winchester Virginia and received his bachelors degree in Music Education and Vocal Performance. Straight out of school he began touring the world, on cruise ships, and at pulpits, singing, dancing, and sharing the gospel. In 1998 he retired from the entertainment industry and began to pastor full time. He served as the Minister of Music and as an Associate Pastor at Central Baptist Church in New York City under the leadership of Rev. Michel and the late Virginia Faulkner. After years of service, Pastor Bobby was ordained by his father at the New Light Full Gospel Baptist Church in Virginia Beach, Virginia. Pastor Bobby later became the Executive Pastor at Central Baptist Church continuing to serve the Lord. He cultivated the Central Baptist Church Choir and served as choir director as they sang and worshiped on the Regis and Kelly show and as back for Barbara Streisand. While at Central, Pastor Bobby also formed the Bobby Lewis Ensemble, a group of singers with extensive vocal talent and a heart for the God. He wrote and produced original music, plays, and productions for the glory of the Lord. 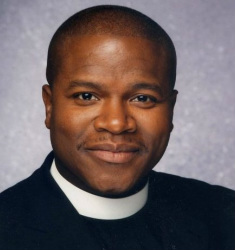 He developed various church programs for youth leadership and Christian Education including "Hallelujah Night" and "Rites of Passage", a 30 week youth discipleship class. In April of 2009, God called Pastor Bobby to plant a church in Harlem. Today, under his fathers covering, Pastor. Bobby serves as the Senior Pastor of New Light Baptist Church of Greater New York. He has ministered all over the country and the world in places like Haiti, Alaska, Spain and more. His teaching is biblically sound; his ministry is compelled by his love for God, people, and the arts, and his heart is dedicated to serving the Harlem community and the world as an Ambassador for Christ.